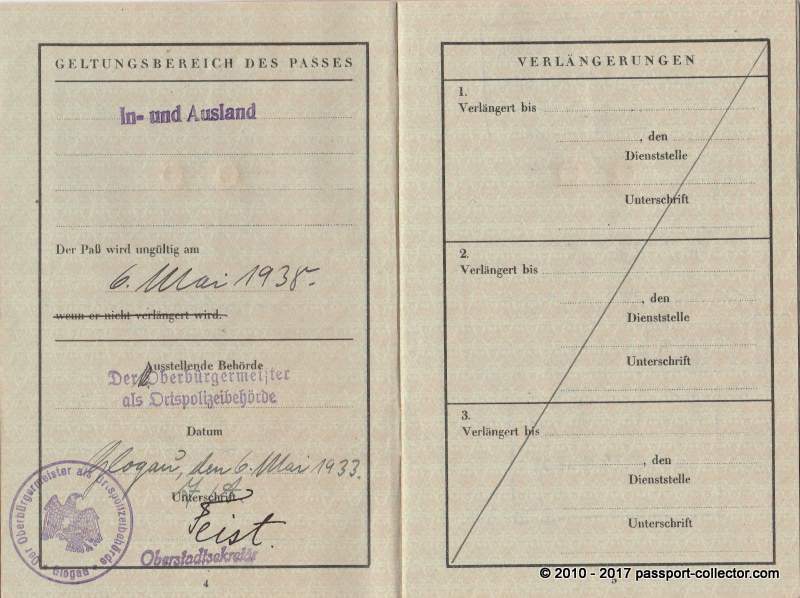 In 1939 Glogau had 33,000 mostly German inhabitants. The town was made into a stronghold by the Nazi government in 1945 during World War II. Glogau was besieged for six weeks by the Soviet Red Army, which left 98% of the buildings completely destroyed. 30th March 1945: Russians troops finally capture Danzig, along with 45 U-boats and 10,000 prisoners. Breslau and Glogau are surrounded, 180 miles South East of Berlin. Russian troops cross the Austrian border to the North of Koszeg. German troops of Army Group Weichsel evacuate their last remaining bridgehead at Wollin to the North of Stettin. After the Yalta Conference, the city, like the majority of Lower Silesia, was given to Poland, and its German population expelled. In May 1945 the first Polish settlers came to the renamed city of Głogów to find only ruins; the town has not been fully rebuilt to this day. The town started to develop again only in 1967, after a copper foundry was built there. It is still the largest industrial company in the town. Recha Freier née Schweitzer (1892-1984), founder of the Youth Aliyah organization, was one of Glogau’s famous citizens. The Youth Aliyah organization was founded in 1933. 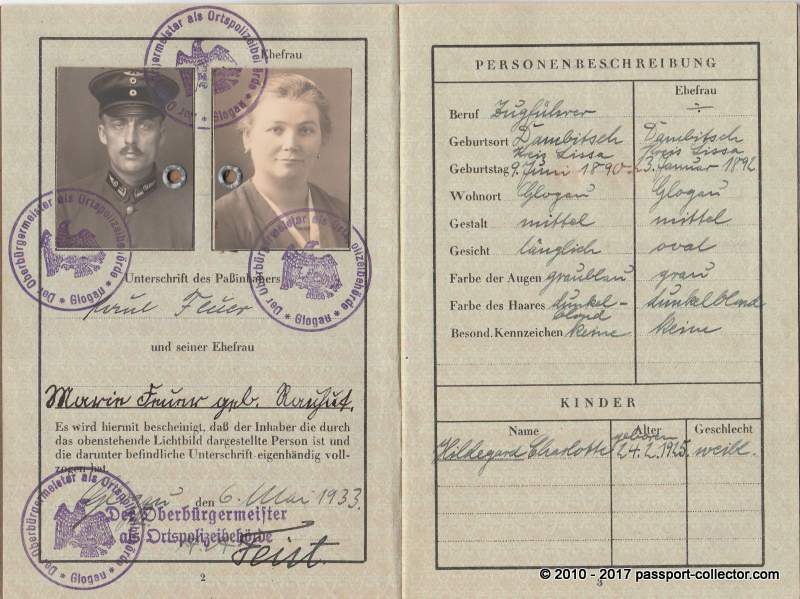 The organization saved the lives of 7,000 Jewish children by helping them to leave Nazi Germany for Mandatory Palestine before and during the Holocaust. Recha Freier, gifted with many talents, was a poet, musician, teacher and social activist. 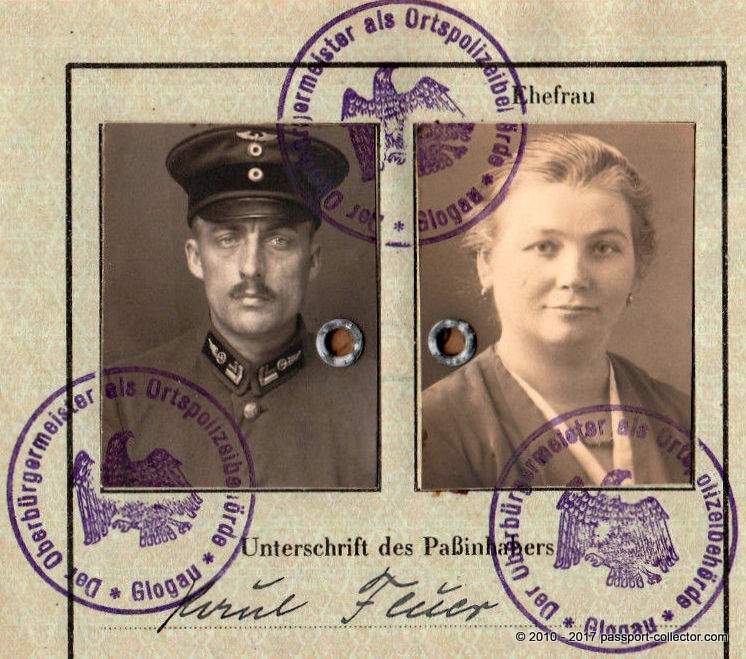 The passport shows Paul Johann Feuer, who was a conductor, in his uniform and with his wife Marie. Great passport picture! 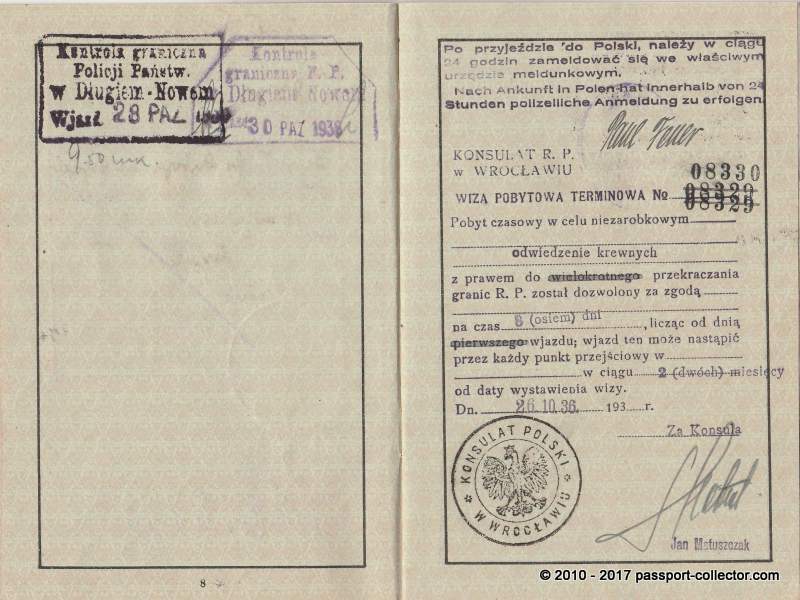 There is a 3 RM revenue, a German and two Polish visas. 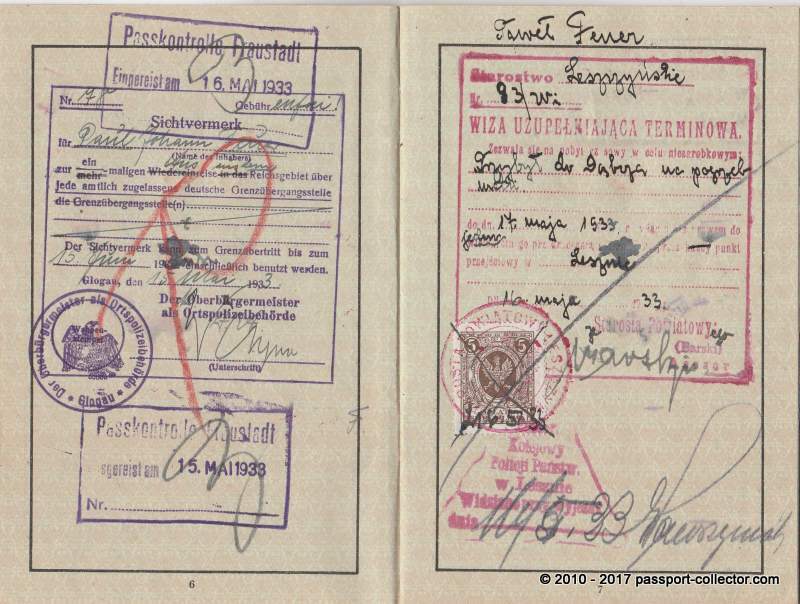 The passport is just in excellent condition. 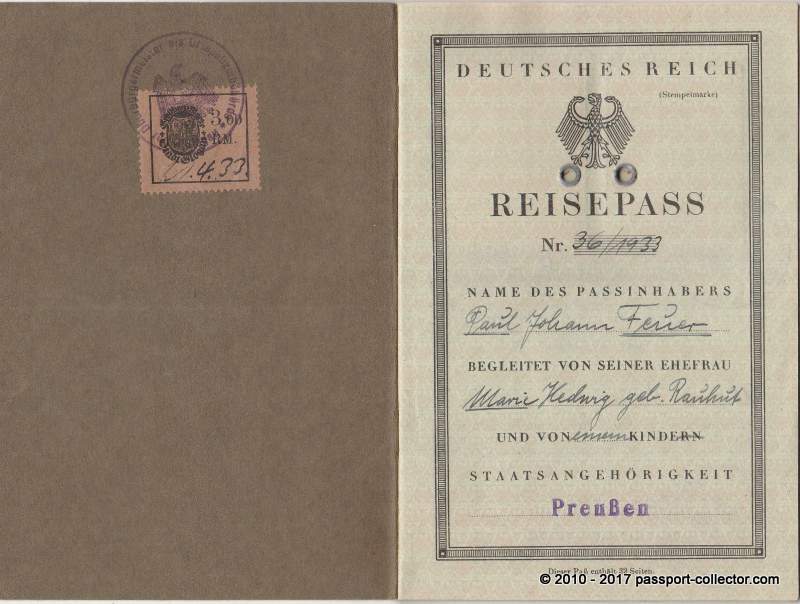 Previous Previous post: Rare German Family Passport Issued In Tilsit, East Prussia – Wonderful!